It took me an hour and a half to catch it all by myself. It was the hardest thing I have ever done in my life when it was done I couldn't even lift my arms! 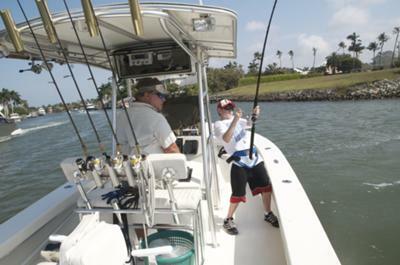 Boats were coming by screaming when they saw me and my HUGE tarpon. And all I could think is I have get to get a picture of this! What an achievement! Keep it up. WOW! 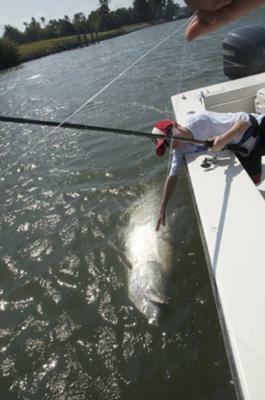 Only 12 years old and catching big trophy sized tarpon like that!!!? That is awesome man. Great job.